Your child will do just fine in life. You just need to keep the faith. My son was diagnosed with ADHD (Attention Deficit Hyperactivity Disorder) six years ago when he was 9. He is an only child, so I did not have any frame of reference for his behaviour. He seemed perpetually restless and fidgety, needed redirection to stay on tasks and had trouble focusing on things unless it was Legos or computer games. I used to dread hearing from his teachers since it usually meant he had done something to upset someone. I also saw how difficult it was for him to make friends or to keep them. We changed schools a few times to find the right fit until we found a place that just let him be himself. And that was a turning point. Today, my son is a 15-year old boy who demonstrates resilience, is still fidgety but self-aware. His early years were rough on both of us, but those struggles shaped him into the person he is now. ADHD does not control him anymore; rather, he controls ADHD. How we got here is a testament to adjusting parenting skills, lots of patience and loving him for who he is. Dealing with a child’s ADHD diagnosis is not easy for any parent, but these 5 strategies will help you both survive the early years. Stop blaming yourself: You did not cause ADHD and neither is it the fault of your child. Parenting style does not contribute to the condition, but your parenting strategies can certainly alleviate the symptoms. Managing ADHD is a matter of managing its symptoms. With the right supports, individuals with attention deficit disorder or related conditions lead normal, productive and successful lives. You may have the added burden of your parents, spouse or friends questioning ADHD. As a parent, the responsibility falls on you to educate those around you and raise awareness that ADHD is not a myth – it is a real condition. The symptoms are real, your issues are real. Living in the US, I felt stuck in between the world in which daily struggles with my son were very real and the other (in India) where my parents believed ADHD, attention deficit, hyperactivity and the like were nonsense that Americans had concocted. However, I armed myself with knowledge about ADHD so I could move forward. Dr Hallowell, a renowned ADHD expert, sheds light on common myths in his blog. I highly recommend reading it. Educate yourself about ADHD and executive functioning: When dealing with ADHD, you need to understand its connection with executive functioning. Put simply, executive functioning involves skills like self-awareness, self-restraint, working memory, self-regulation, motivation and problem solving – that help us plan, organize and accomplish goals. 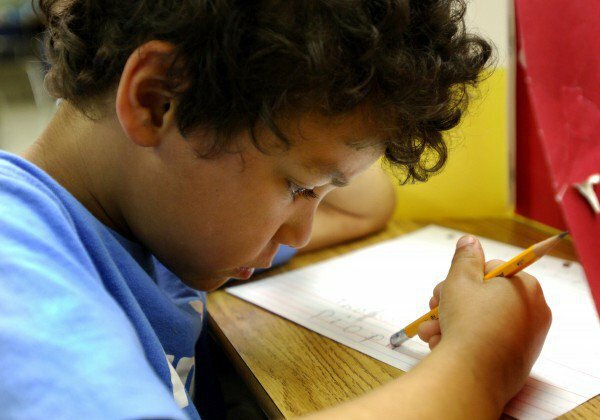 Individuals with ADHD typically struggle with some or all of these skills – if your son loses school work, forgets to complete homework, has difficulty handling long projects or essays, it is usually due to poor executive functioning skills. This is a great article that describes the connection between executive functioning and ADHD. Understanding executive functioning will help you support your child by developing essential skills for success in and outside the school. Sarah Ward is a leading expert on executive functioning. You will find a lot of useful information and resources on this topic and its relationship with ADHD on her website. Try natural methods of treatment first: While it is common for psychologists to recommend medication to treat ADHD, be aware that medications have side effects that may not work with some children. A multipronged approach utilizing natural methods of treatment for ADHD often yields results without resorting to chemicals. Consider therapy: A certified therapist can teach children the skills to deal with situations they encounter in their daily lives. Occupational therapy and social skills therapy were very useful for my son. Therapists simulated real-life situations so he had a better sense of how to react to those situations. Such resources may be hard to find in India, so I recommend networking or contacting organizations such as Sol’s Arc to get referrals or information about resources for ADHD. Establish discipline and routines: Old habits die hard, so make sure your child develops good habits – healthy diet; exercise; boundaries for study, play and electronics – and follow through on consequences for disobeying rules. Provide positive reinforcement immediately for good behaviour and minimize negative reinforcement. Laughter is the best medicine – use it instead of yelling when they do something wrong. Enrol in extracurriculars: Sign your boy up for a cooking class, or let him help you in the kitchen if that’s what he likes. Don’t judge their interests, even if they do not fit in with your ideas. However, don’t give up on activities when the going gets tough – they need to learn persistence, endurance and resilience, which can be challenging for kids with ADHD. For example, when I understood that my son was restless and fidgety, I enrolled him in karate classes, and this helped him tremendously in controlling his body. Foster friendships: You may be tempted to avoid social events due to the worry about disruptive behaviour, but do not succumb to this impulse – kids with ADHD need to practice social skills as much as they can. I took my son to birthday parties, arriving late or leaving early so as to minimize the potential for disruption. Encourage friendships with kids who share similar interests – one good friend goes a long way in making them happy. Take care of yourself: You need to be mentally and physically fit – ADHD is not a sprint, it’s a marathon. Get as much support as you can, so that you can support your child. You will also find stigma attached to ADHD – empathy comes from people who have been through similar struggles, so stay away from people who don’t understand what you are going through. Join an online support or discussion group and develop friendships with like-minded adults who may or may not be family members. This is a discussion group worth checking out. Enjoy your child: Accept your child for who he is. It took ADHD to teach me how unique my son is. As he grows older, I appreciate how his uniqueness distinguishes him from the crowd. ADHD is only one aspect of your child – it should not define him or her. Maintain open dialogue regularly with teachers, as they are in the best position to see how ADHD symptoms are playing out in the classroom. This will help you chart a plan of action to minimize disruption in class. Be your child’s strongest advocate in his community – around family, friends and school – and believe in the power of love and positive thinking. How you deal with this challenge sets the stage for your child’s future. When you look back after many years, you want to feel proud of your role in developing the independent, happy, healthy person your child will become. What strategies have helped you in tackling ADHD? Feel free to share your comments, questions and success stories. Don’t forget to follow us on Facebook, Twitter, Pinterest, Soundcloud & Instagram or subscribe to our YoutubeChannel for more information. A marketer by training, Radhika has had a diverse career that includes working for consumer products companies such as The Gorilla Glue Company and education services organizations such as Cambridge Network. Radhika considers herself an empathy evangelist and writes to help individuals from disadvantaged backgrounds. As mom to a child with ADHD, Radhika wants to help kids with special needs understand that they too can thrive and be successful, no matter the disability.